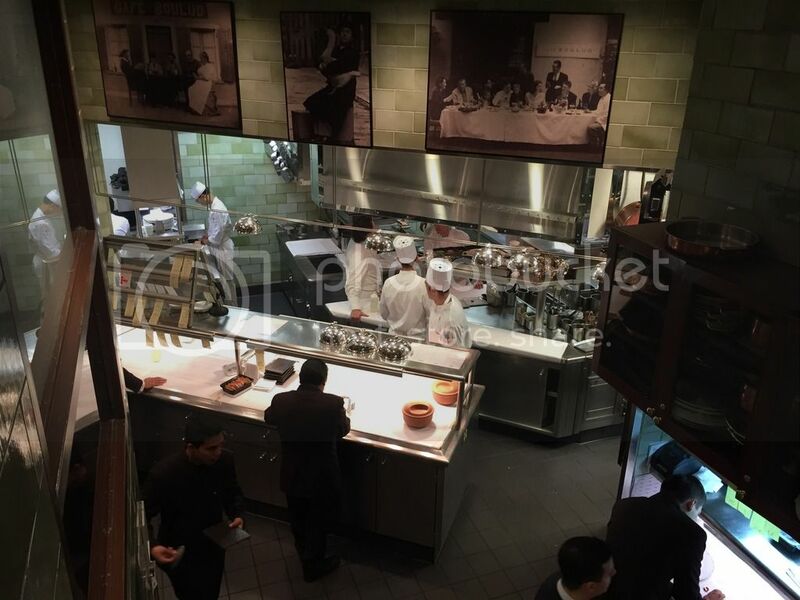 Amazing Service, Fantastic Food and Wonderful Company at Daniel New York. What a grouping; your unbeatable Tz with the uber rare Lange 1 Tourbillon HWK and the 1815 rattrapante pc.. love the heavy hitters. Good friends to have, and hope the dinner was enjoyable. That Volnay Pinot Noir...Did Rajeev suggest it? 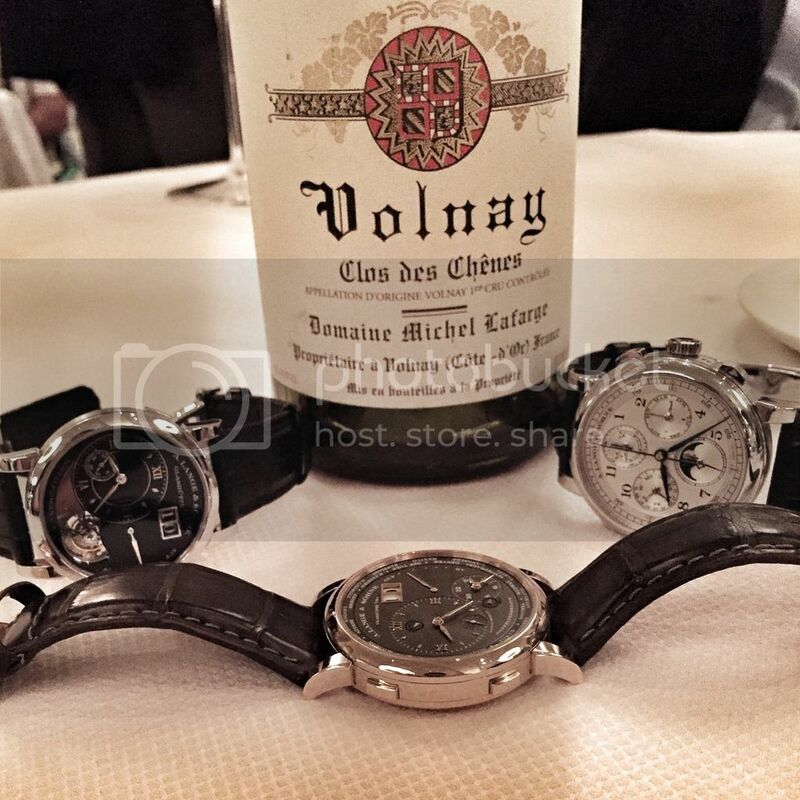 What a bunch of nice watches; thanks for sharing the pictures with us. in person it's unreal. The levels of the dial and movement are out of this world. 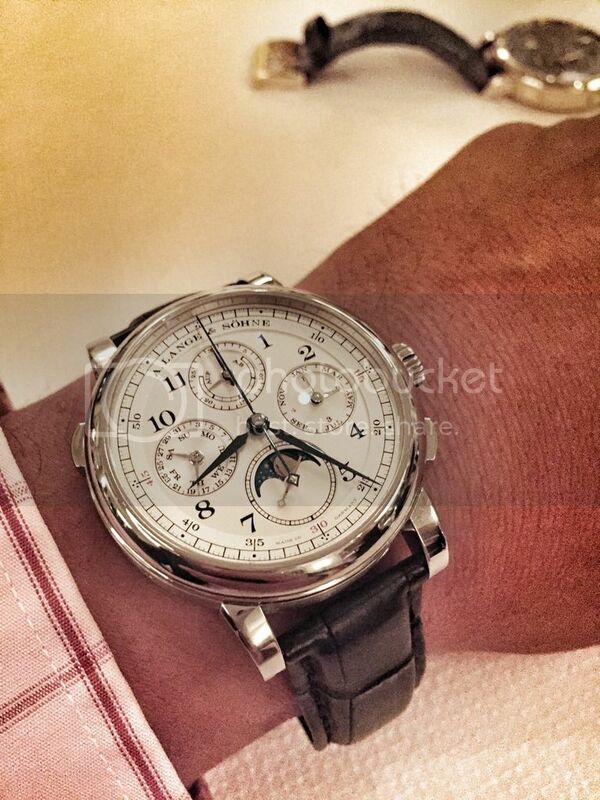 Is that a Lange 1 Tourbillon Handwerkskunst? That's quite a table shot.